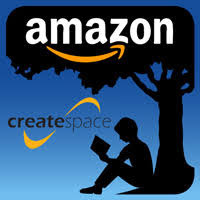 Solomon Ternder's Blog: MY AMAZON KINDLE AND CREATESPACE PUBLISHING JOURNEY SO FAR..
What annoyed me was that I learnt about this opportunity way back but refused to take advantage of it. Now I was reading someone's success story who probably knew about it later than I.
Anyways, I decided to give Amazon kindle publishing a trial this time around and published my first kindle book. It was easy because, I already had a book which I had written and was selling. I remember paying some lady on Fiverr to help with the formatting and payed another dude $5 or thereabout to design the cover for the same book. Eventually I published the book and relaxed, feeling that I had achieved some big feat. Little did I know that it takes more than one book to succeed with KDP-to make enough money to pay bills and have some change to spare. A young Nigerian who is raking in millions now published 50 books in 7 months last year! But one thing or the other happened and Amazon locked me out of my account. Yes, I wanted login to my account on a new device and Amazon prompted me to input a certain number(zip code). I forgot the zip code to the address I provided while registering my account on Amazon and Amazon was not happy with me. So they locked me out for many months. Not until 2017(almost a year later) while bathing one day it suddenly dawned on me to try a certain code to see if Amazon would allow me in. And that worked! I was allowed access to my account at last. I found accumulated royalties in my account and quickly put my payment details to enable me withdraw my earnings. And by the end of that month, I received my first earnings from AMAZON KDP. I was so happy really. I felt like if I work harder, I would be smiling to the bank monthly.Good motivation isn't it? But that was not enough to make me write more books. I suddenly developed WRITERS BLOCK(Check Google for the meaning, if you don't know). I did not write any title till many months later. Then I went back to the thread on Nairaland.com to check the latest reports from others only to find that my fellow Nigerian internet marketers were making 5 figures already from this business. This time, they started a Whatsapp group which I quickly joined. Today yours truly has bounced back with few titles already written and many manuscripts lined up for publishing. Are you interested in Amazon Kindle Publishing? I am willing to teach you the smart way to do it as a business. Are you an Author with books to your credit already? Great! You are already good to go. Learn from my mistake. Don't let this opportunity pass you by. Take advantage of it now. Don't be like me, who passed an opportunity to make money with publishing only to turn around and see those who came behind me counting 6 figures already. Join the train now before you later lament 'had I known'. A word is enough for the wise. Wouldn't you rather jump on board Amazon Kindle Publishing? I can mentor you(AT A FEE), if you want to. I have dozens of videos(from courses I bought) on how to make money doing this business smartly. 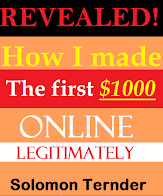 To know more on how to get started, send me a mail at solomonternder@gmail.com. By the way, the link below is to my Amazon Author's Page just to satisfy your curiosity. Are you a cat? Lol! Once again, to get started on the fast lane publishing on Amazon KDP, shoot me a mail at solomonternder@gmail.com now. PS: I am available for Group Training(especially for the youth), Seminars, Workshop, etc. Invite us, we would come and train you.